The year 2013 nears its end and we want to thank you for the phantastic year 2013! In 2013 we were able to add many new products to our product range. These include the starter kits, the Ethernet Master Extension and the 14 new Bricklets that were introduced in the end of November. We released new programming language Bindings and lots of small improvements. It was exciting to see how our modules are used and the kind of projects that are realized. We are also thankful for all of the constructive criticism. As hard- and software designers it is not always easy to see the viewpoint of the end user, thus we are always thankful for feedback. Often small improvements can make a big difference. Of course we can’t always implement requests for changes immediately, but we hope to also get lots of feedback in 2014. For the spontaneous amoung yourselves: There is still a discount of 10% until the 1st of January 2014 :). What will there be in 2014? We can’t reveal everything, but you can definately look forward to new Bindings. The new Perl Bindings for example are already released as a first beta version, they will be officially released soon. More Bindings are in preparation. In addition there will be new starter kits. The first kit of the new year will be the Starter Kit: Blinkenlights, that was already intruduced on December 13th. All of the necessary materials are already ordered and the planned release date is still mid to end January 2014. A starter kit in the home automation area is also planned already. Of course we will also release new Bricks/Bricklets in 2014, stay tuned! 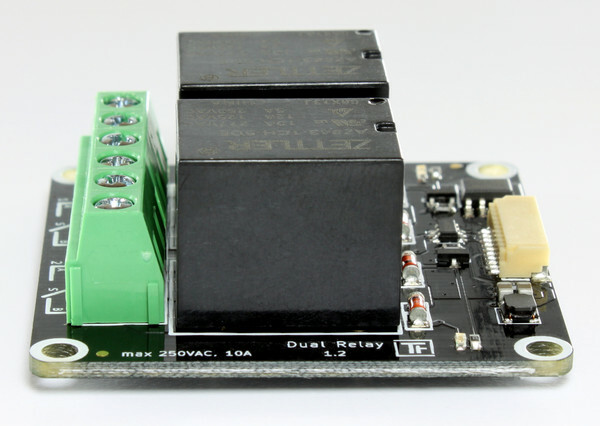 A few minutes ago we officially released our new Dual Relay Bricklet (hardware version 1.2). If your order is currently not yet shipped, you will already receive this new version! In the forum we had users that could sporadically trigger undesired side effects (such as resetting a Brick) by switching a Relay of the old Dual Relay Bricklet. Often it was quite hard for us to provide suitable help. The usage of snubbers, varistors or similar did not always solve the problems. Since the problems mostly were not reproducible it was also hard to verify the implementet measures. 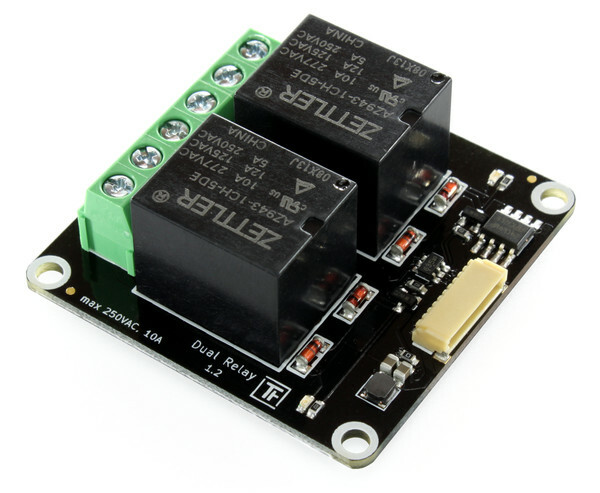 The hardware design of the old version was based on a typical relay circuitry, that is used in most products. To circumvent the problems we decided to design a new hardware version. The new hardware version has an additional comprehensive protective circuitry. We hope that the odd unsolvable side effects are now a thing of the past! Due to lots of requests we decided to offer a last minute Christmas discount. Starting from tomorrow (14th December 2013) to the 1st of January 2014 all of our products will have a 10% discount (with exception of the already discounted kits). We wish you a calm Christmas time with lots of spare time for your own projects ;-). 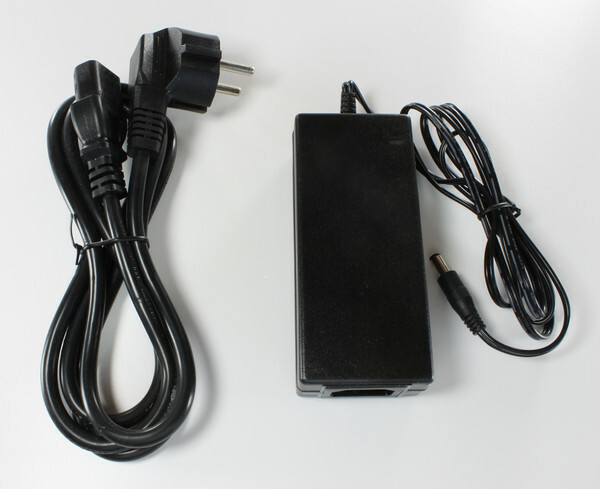 A 5V 8A AC/DC Power Adapter is now available in the shop. It is intended to power the RGB LED Strips and the RGB LED Pixel. The Starter Kit: Blinkenlights is currently still in development. We won’t be able to adhere to the previously intended release date before Christmas. The release will be early to mid January 2014. We are still missing lots of documentation and we have to wait for lasered parts that will not be delivered until January because of the Christmas time.